Big News for Family Bike! In an effort to better serve our cycling community, Family Bike of Agawam and Family Bike of East Longmeadow will be merging. 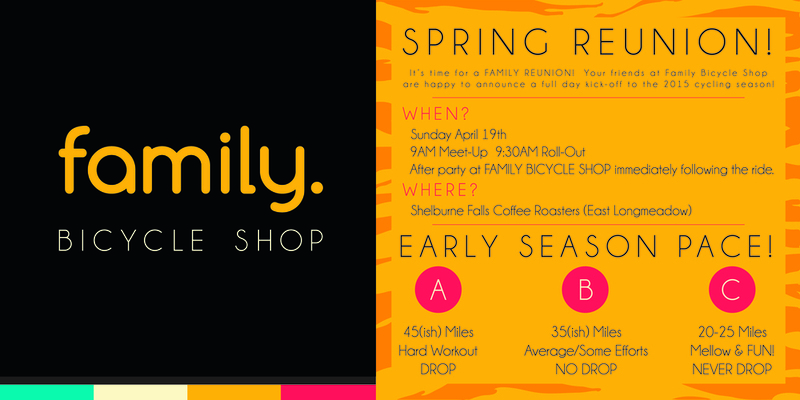 Sometime between Winter and Spring of 2015 the Family Bike team of Agawam will be moving in and joining forces with the East Longmeadow shop here at 217 Shaker Road. We are excited about our new venture and about creating one super store. By combining our two teams, we'll have the ability to offer our customers more dedicated one-on-one time, more events and group rides, and faster overall service. We'd like to take this opportunity to thank everyone who has supported us over the years in both East Longmeadow and Agawam- and we're looking forward to a new chapter with you all. P.S. Stop in and ask us about our moving sale!